By now you know that I'm obsessed with the other T state that I now call home, Texas. As of August 4th, I will have been a Dallas resident for 4 whole years. I love it so much I started Dallas Love List, which is a 100% Dallas-Fort Worth focused proclamation of my love for Dallas. Today I'm partnering with Ozarka® Brand Natural Spring Water to tell you some things that I absolutely love about where I live. 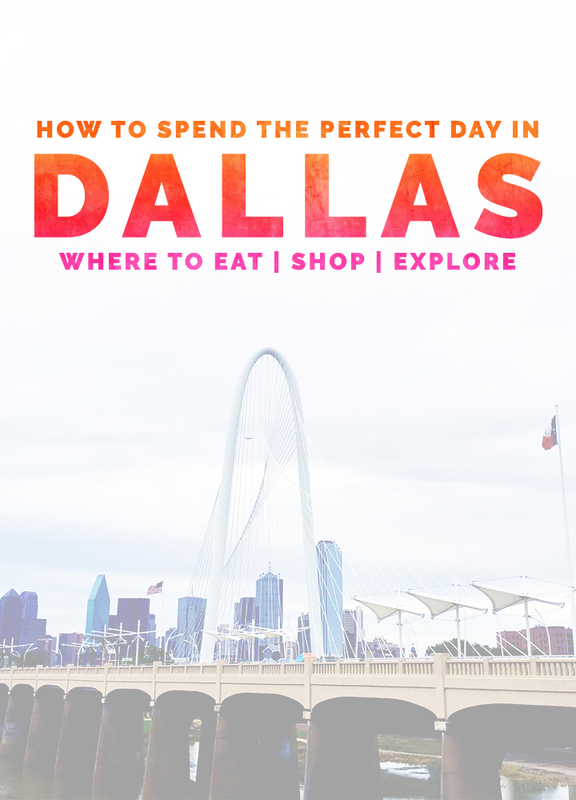 I thought what better way to do that than show you exactly how I would spend a perfect day in Dallas, Texas. No great morning ever started without a little caffeine. 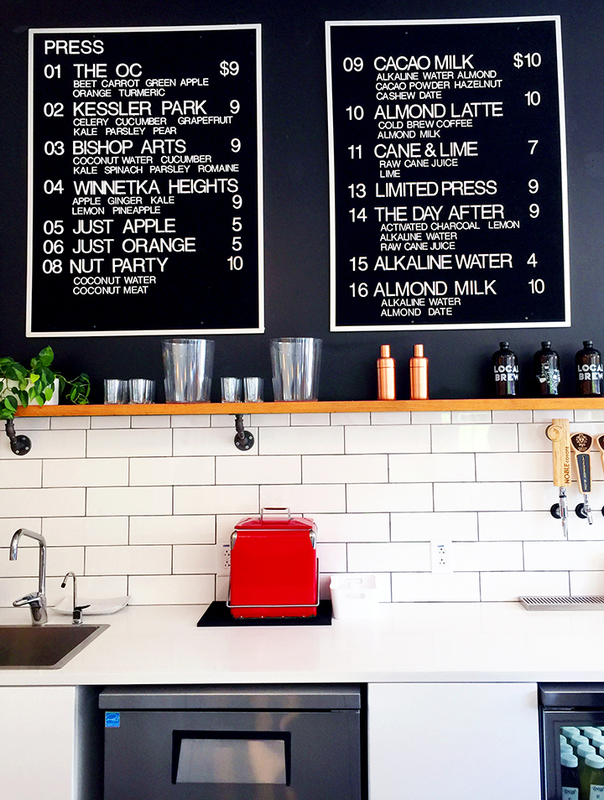 Grab a latte, cold brew or fresh juice flight from one of my favorite coffee shops, Local Press + Brew. Asking where to have brunch in the Big D is a loaded question, but I'm going to attempt to pick a favorite. While most of my friends would direct you to Jonathon's for the chicken and waffles, I'd send you to Smoke, which is located just down the street from where you just finished coffee. 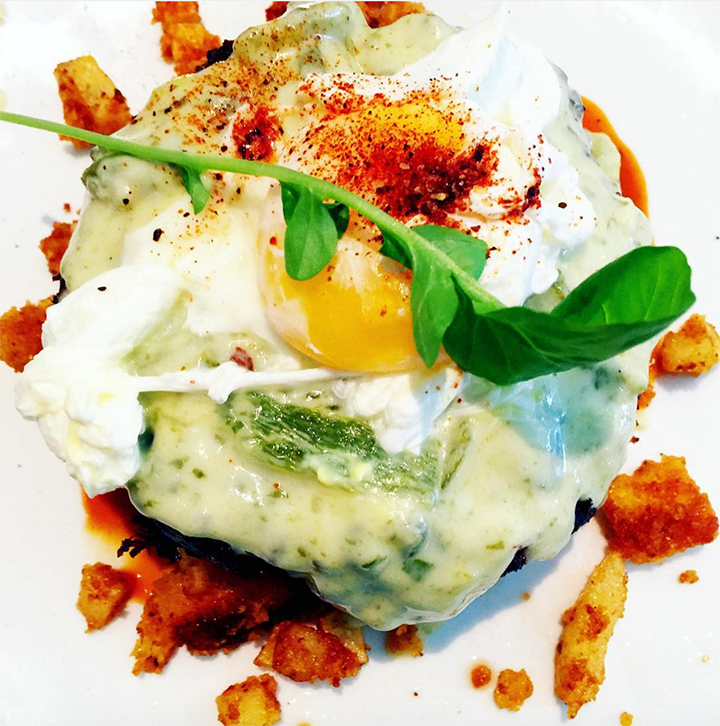 Don't even bother looking at a menu, order the Cornbread Brisket Hash. 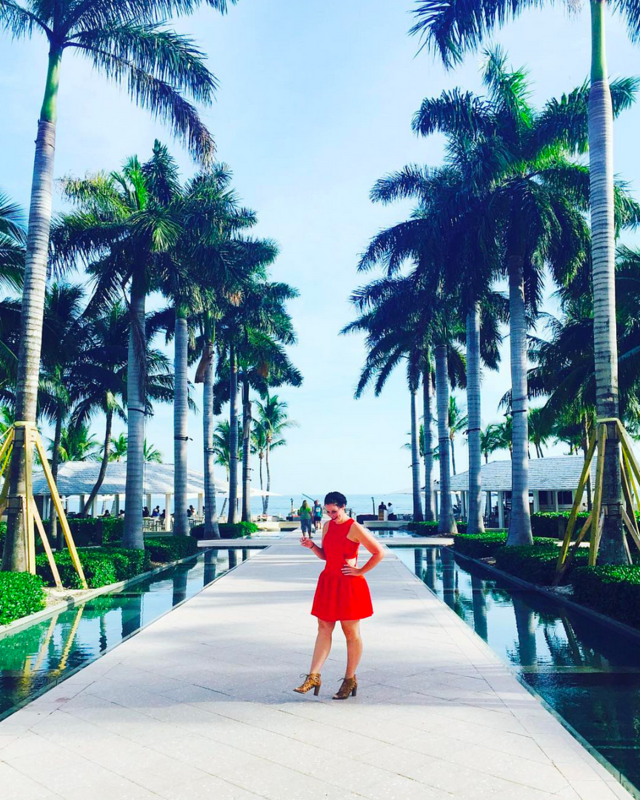 For convenience, I'll keep you in the same neighborhood as coffee and brunch. 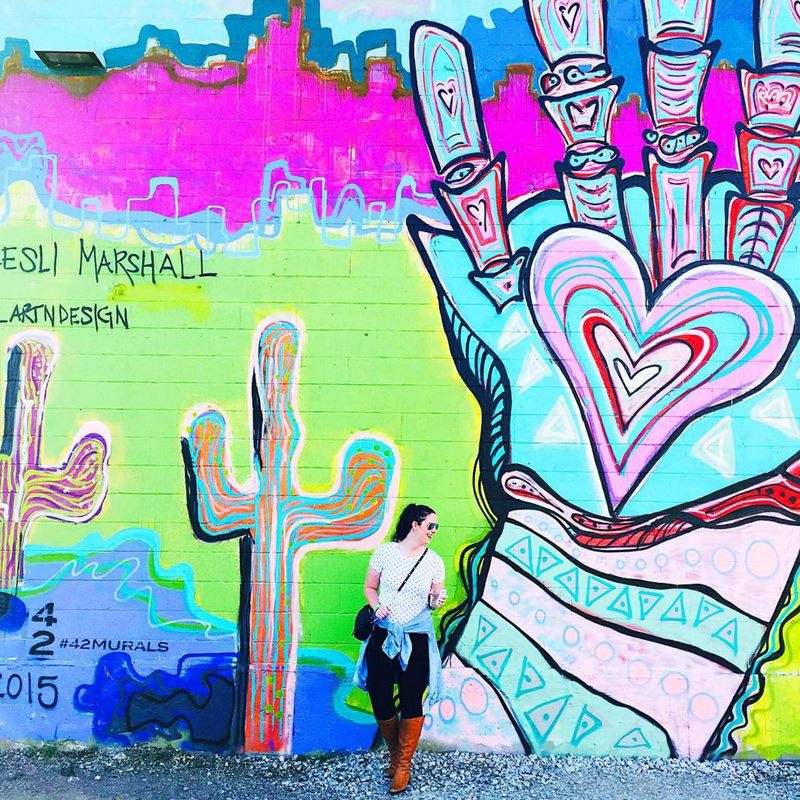 Drive on over to Bishop Arts District where you'll find an array of boutiques, succulent shops, furniture stores and some great Dallas trinkets you won't be able to live without. The Farmers Market has been totally revamped and is so much more than JUST a local market. 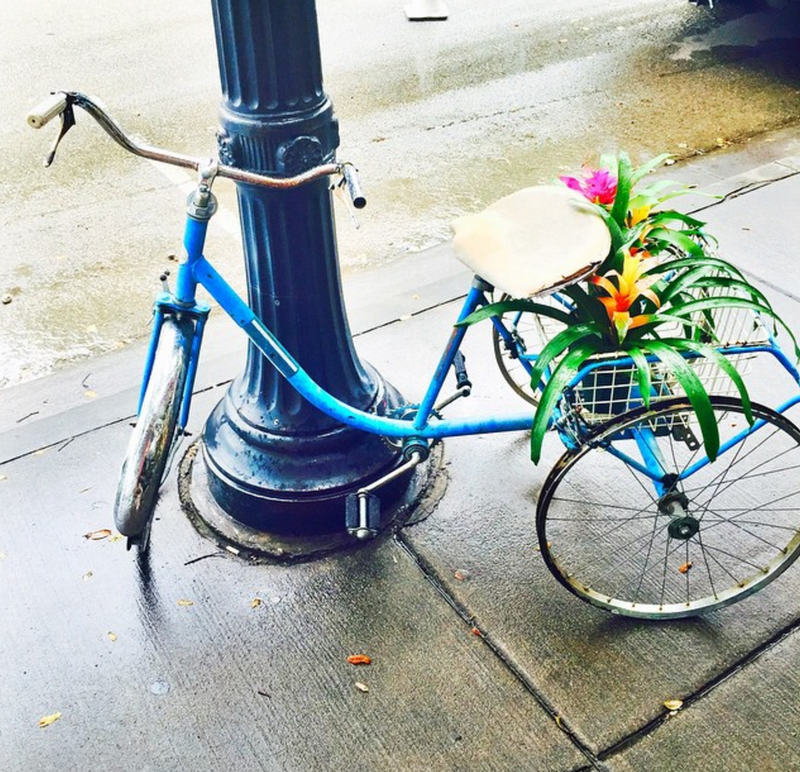 You've got shops, sweets, drinks, flowers and, I kid you not, some of the best restaurants in Dallas. Even though the market is downtown, you'll find that parking is actually quite abundant and free. 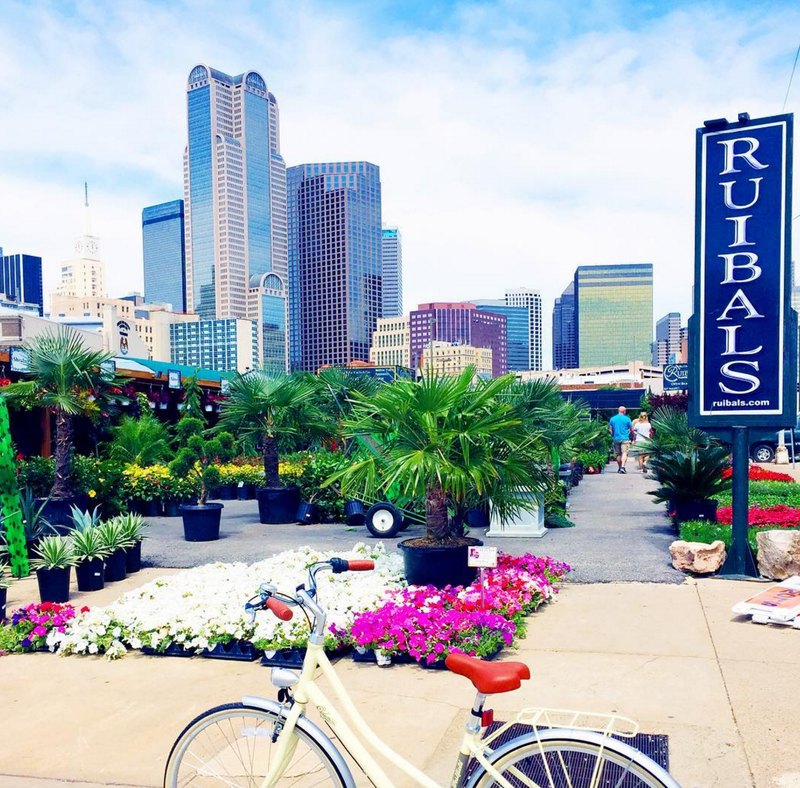 Since you're probably not hungry just yet, I say just do a leisurely stroll through the market, then through the gorgeous plants at Ruibals Plants of Texas. Klyde Warren Park is one of my favorite spots in Dallas. This downtown park, which is actually located above a major highway has something for literally everyone. There's a dog park, a shooting fountain for the kiddos to play in, cold beer served for the adults, lawn games and food trucks. 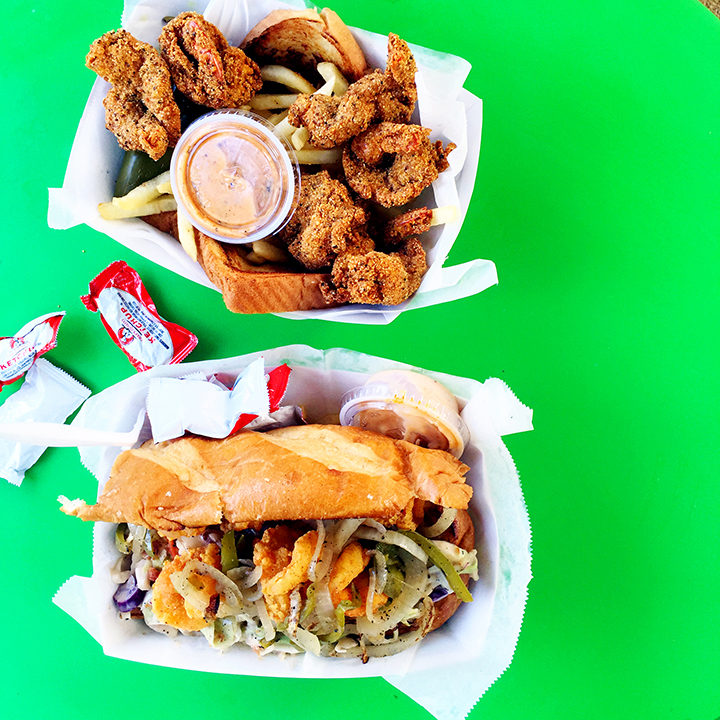 I suggest grabbing a cold beer, some grub from one of the trucks and grab a seat at one of their iconic green tables. I couldn't believe it when I first discovered that the Dallas Museum of Art was FREE! I was so pumped. Plus, even better, it's very, very well air conditioned. 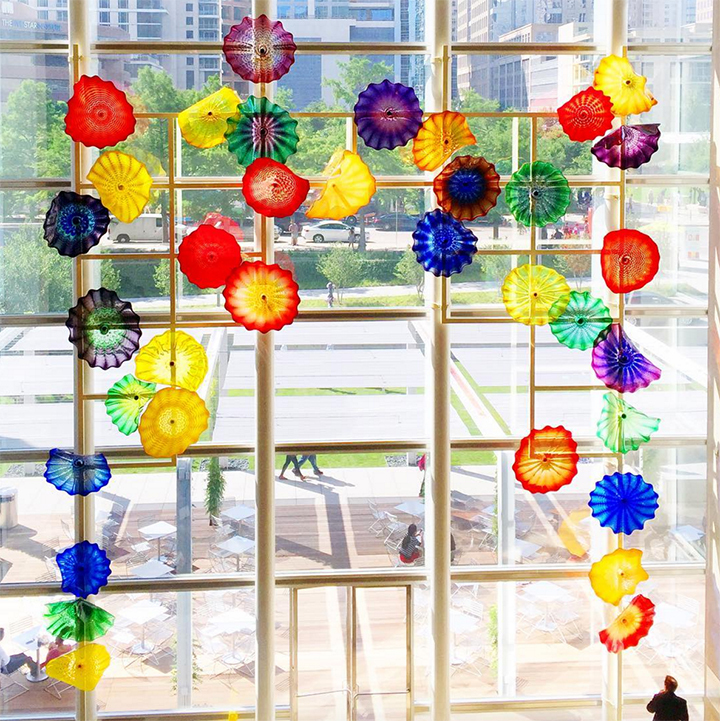 Get out of the Texas sun for a couple hours and view work from some of the world's most famous artists. 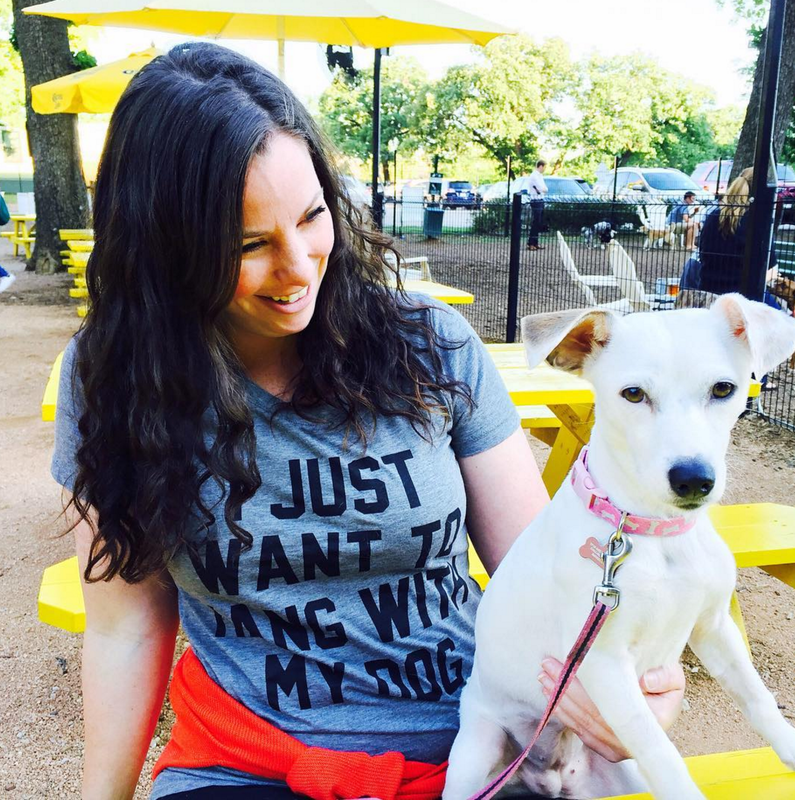 If you're lucky enough to have gotten to travel to Dallas with your fur babies, bring them to my favorite watering hole, Mutts. Mutts is a full-service dog park that offers food, drinks and unlimited water bowl refills. If you get there at 5pm, you'll be there for their yappy hour, and I highly recommend their frozen margarita! I'm sending you off to Deep Ellum for the rest of the night. Deep Ellum is my favorite neighborhood and anything you want to wear is A OK! Get totally glammed up or throw on jeans and a tshirt. You'll fit in no matter what you're wearing. Now that you've showered from the long day, let's take some photos. There are a ton of spots to take a picture in Deep Ellum.... well, 42 if you want to get specific. Last year, a new project called 42 Murals was lunched which brought 42 new beautiful pieces of street art to Deep Ellum. My favorite, shown below, is located behind Pecan Lodge. Most people would send you to Pecan Lodge for BBQ, and while yes that's a great choice, I'm just really not into standing in line for 2 hours outside in Texas. 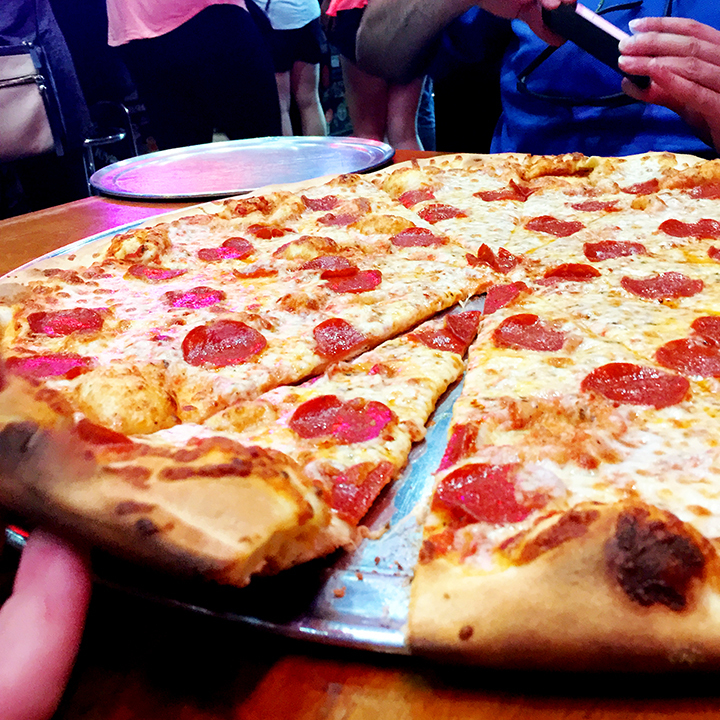 Instead, grab the biggest and best pizza of your life at Serious Pizza on Elm Street. FOR SERIOUS... this place will rock your world. Yes, you read that right, I'm sending you to a barbershop at 10:30pm. 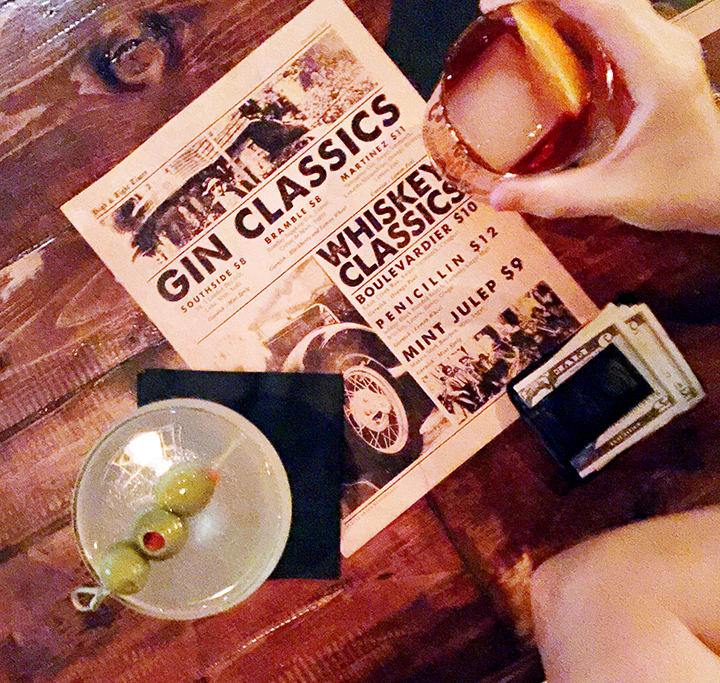 Aside from men's haircuts, High and Tight Barbershop also has a secret vintage, hand-crafted cocktail bar with live music located way in the back! Add in the Cowboys, Mavs, Stars and Rangers, and that would be a pretty solid list of things that I love about living in Dallas! This is the second time I've collaborated with Ozarka Water. They have built a brand totally based on what it means to have pride in your state! Their #FromHereForHere campaign is designed to bring people together through food and drink and real life, deeply rooted traditions. 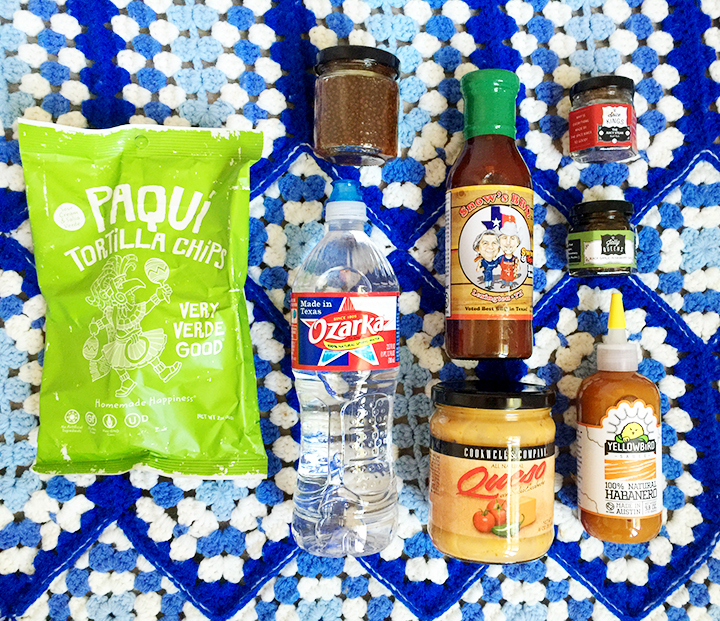 They actually sent me an amazing box of totally Texan goodies that I want to share with you today! Ozarka® Brand Natural Spring Water is always stocked up in our house. CB, who is born and raised here in Texas actually first introduced me to Ozarka. Ozarka water comes from 3 Texas springs and has a uniquely Texan fresh taste. I'm not being dramatic when I say that Paqui’s Tortilla Chips were the best tortilla chips I've had in a long time. I took the first bite, not realizing just how packed they were with flavors and spices. I was blown away. Paqui brand offers “better-for-you” tortilla chips and tortillas that are crafted with unbleached, untreated flour, or by stone grinding corn and adding mouth-watering flavors using high-quality ingredients, such as fire-roasted jalapenos, fresh cilantro leaves, buttermilk, pumpkin and other spices and flavors. Texas Monthly magazine named Snow’s BBQ Sauce as the best in Texas! Packed with Texas flavor, I'd recommend you put Snow's Original BBQ Sauce on absolutely any cut of beef, chicken, or pork.! 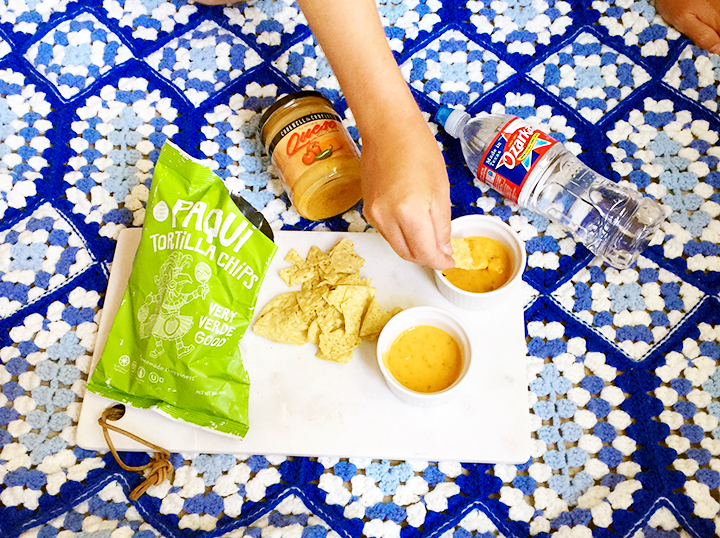 It’s also pretty darn good as a dipping sauce, too! These next two products are for all the the Austin lovers out there, because it is made with LOVE in Austin, Texas! The Yellowbird Habanero Sauce goes great on tacos, burgers, wings, sushi, pasta, steak, fish, eggs, pizza, soup….anything you can think of! The other local Austin product, the CookWell and Company Queso, I may or may not have just eaten with a spoon. This Queso con Salsa Escabeche is built around a flavorful blend of cheddar and blue cheeses combined with fire-roasted tomatoes, onions, diced jalapeños, and fresh-squeezed lime juice to create simply the best and authentic queso you can buy. The Sweet and Spicy Mustard seeds by Taste Elevated are perfect on a charcuterie tray and can be used on anything you'd normally top with mustard, like BBQ sandwiches or hot dogs! Last but not least is the Black Garlic Rosemary BBQ sauce by The Jelly Queens. This award-winning, Dallas and Austin-based artisan food company makes gourmet jams, jellies, spices, sauces and more. Each product is handmade in small batches using organic and, whenever possible, locally grown Texas ingredients! So, now that you know some of the things I love most about Dallas, leave me a comment and let me know what do you love most about the city you live in!